Show off your gleam in this skillful decorated evening dress Terani 1721C4005. This dress is suitable for every modest, tasteful with well-fitted body. The lovely design is based on a smooth, caressing, and shiny fabric having solid color, embracing your well-fitted body in a way which all the desired curves, and edges are highlighted, and you will be proud of your physical perfection in best way possible. 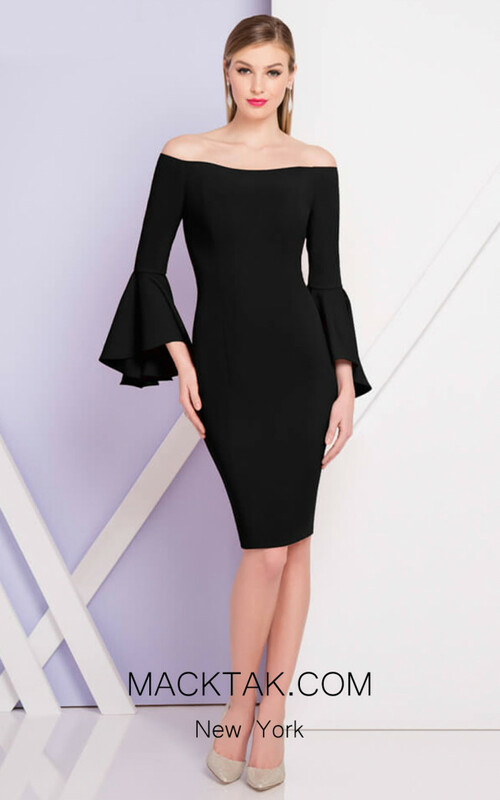 This Terani dress features long bell sleeve bateau neckline bodice, elaborating more on your collarbone neck and shoulder area. It is continuing in to a straight open back with a full view of your shiny skin. 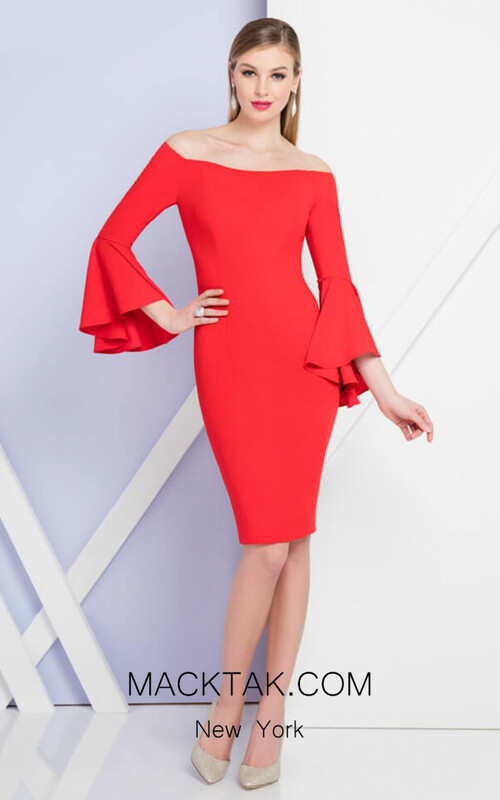 The bodice of this dazzling Terani design, featured with long bell sleeve with ruffled style adding extra beauty to the whole silhouette putting you at the center of attention. 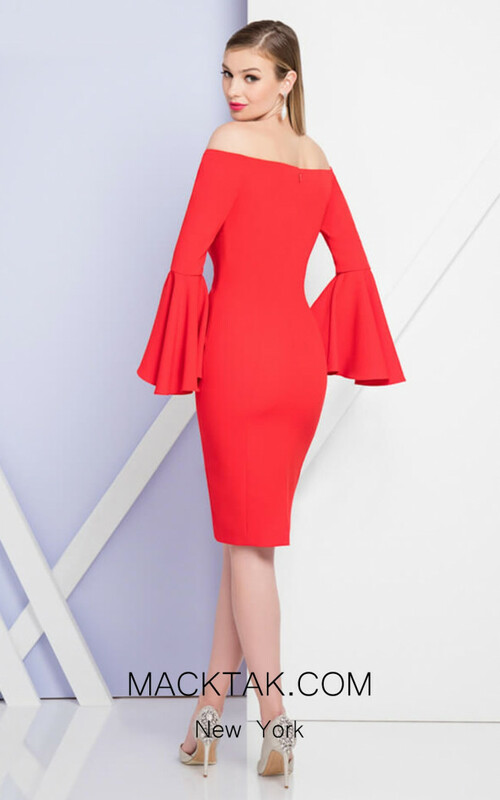 It continues to the snugged hugging waistline, containing the hips, bringing all the beauty and glamour to the area, falling down to a short circular waistline with above the knee length, and full view of your long legs decorated in ankle strap heels. You will be the beauty queen of the nigh in this amazing new Terani designed. Check out the images of MackTak Evening Dresses and order right away.